I'm finally back with another post. I fully intended on writing this up Friday night but I fell victim to the siren call of the REI used gear sale. If you have an REI nearby you probably know what I'm talking about. Every third month they sell off all the gear that people have returned at heavily discounted prices. Some of the stuff is pretty sorry looking, but the majority of the items are brand new or barely used. They hand out numbered wristbands and have a lottery to see who goes in first. My husband got picked in one of the first groups and while I was upstairs looking at a pair of $100 shoes he found the exact same pair in the sale for $18. You all know I love a good sale so it was a great night. Speaking of sales (and getting back to the topic of nail polish) I picked up a couple polishes from the new Sinful Colors Leather Luxe collection. My Walgreens had them on sale for 99 cents each. I used Sinful Colors, Calypso for my base. This is a beautiful dark teal shade and it truly was a one coater. 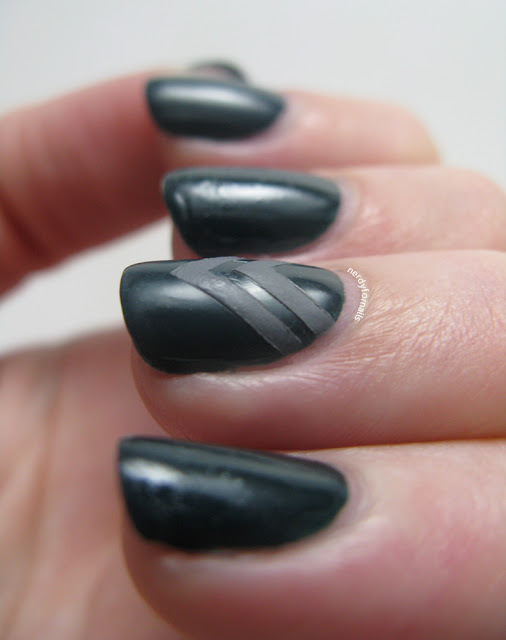 The formula and coverage was great- no streaks at all which was unexpected for such a dark polish. 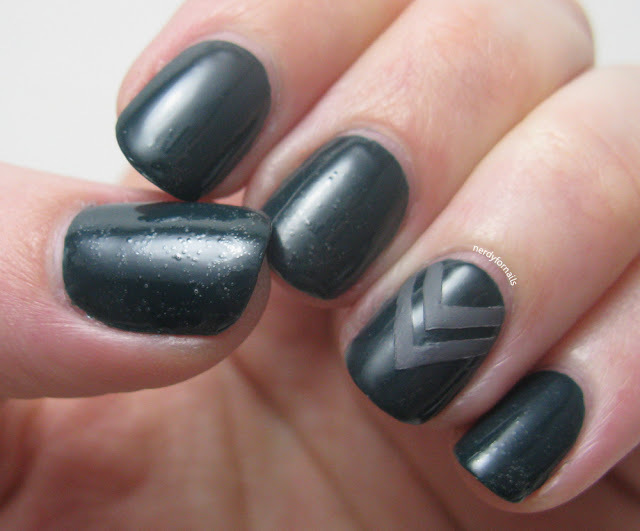 Next I used striping tape to block off the chevron stripes and painted them in with one of my new Leather Luxe polishes, My Turn, which is the matte grey shade. 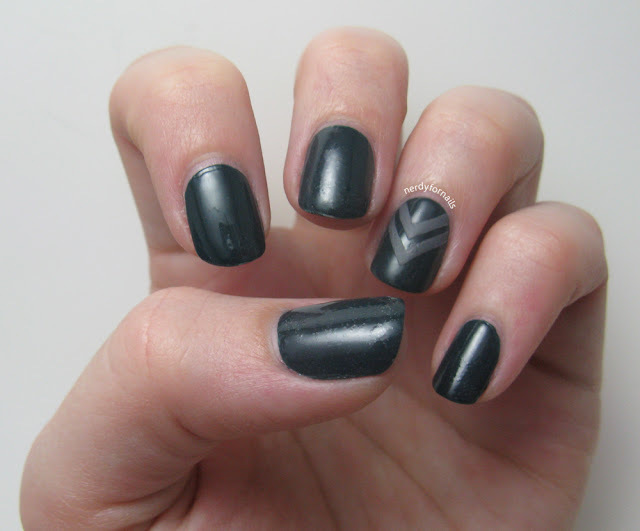 If you want to see the rest of the seven matte shades from the collection check out this blog. I was really loving this chevron manicure and then everything went horribly wrong with the top coat. I was getting to the bottom of my bottle of Sally Hansen Insta-Dri and apparently in its old age it has grown to hate me with a vengeance. Normally this is my favorite top coat. It seems to dry as hard and fast as Seche Vite, but it's a couple dollars cheaper which I love. I've had the same problem with every brand of top coat I've tried becoming unusable by the bottom 1/4 of the bottle. Do you have this problem too and what do you do about it? 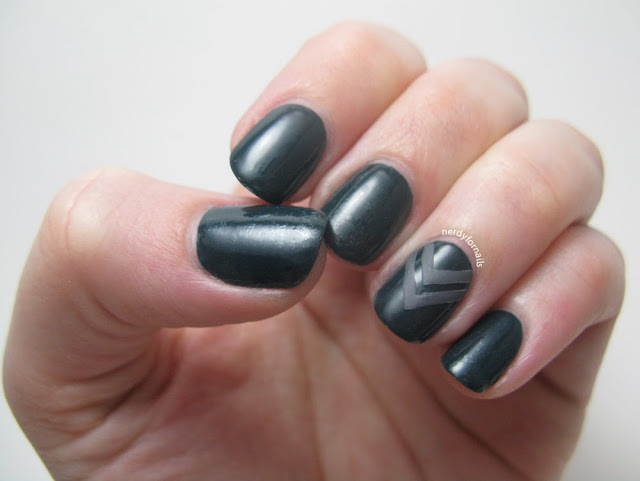 Do you just toss it out, use polish thinner, something else? I hate to waste good polish, but this is obviously not good polish anymore! Here's a close up of the bubbles in all their glory. Also, this picture: I can never unsee it and it will always bother me now!! 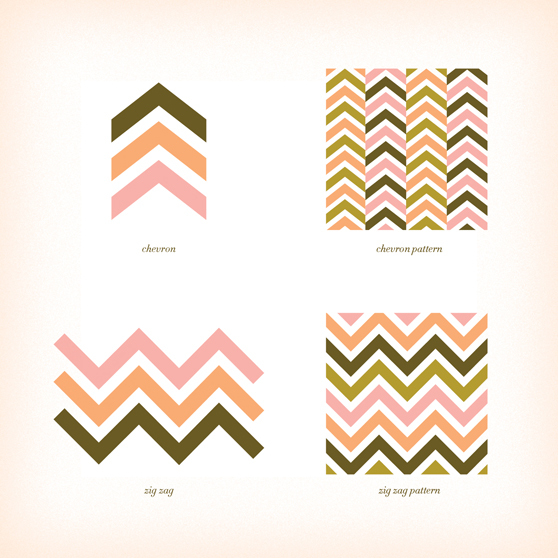 I love Chevron and this look:) I have found that Revlon Colorstay top coat does not get thick and goopy. Everything else I have tried does...and I just throw it out. I don't even bother with thinner. I have tried to buy a new bottle and then pour the goopy stuff in to mix them and that helps for a while, but you will constantly be doing that:( Annoying.